Home Ask SISTRIX OnPage-Optimisation Google PageSpeed – the loading speed of a website How can I check my website’s PageSpeed? How can I check my website’s PageSpeed? There are a number of ways and options available for you to check the PageSpeed of your website. Google offers their own “PageSpeed Insights” tool, which helps you determine the PageSpeed of a website with a PageSpeed Score, a grading scale which can go from 0 to 100. If you analyse a website with the PageSpeed Insights, you will receive concrete instructions for how you can improve your PageSpeed, in addition to the overall score. In Google Analytics you can check the average PageSpeed of a website, as well as other speed metrics. 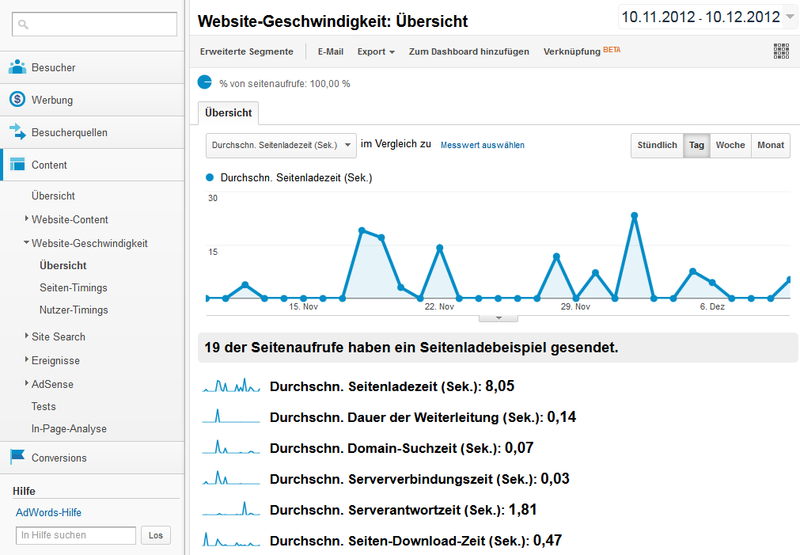 With the Optimizer module you can monitor a website in 3 hour intervals and analyse the server performance in our waterfall-diagram.